I’m not entirely sure I can even pull off these jeans, but I love them! 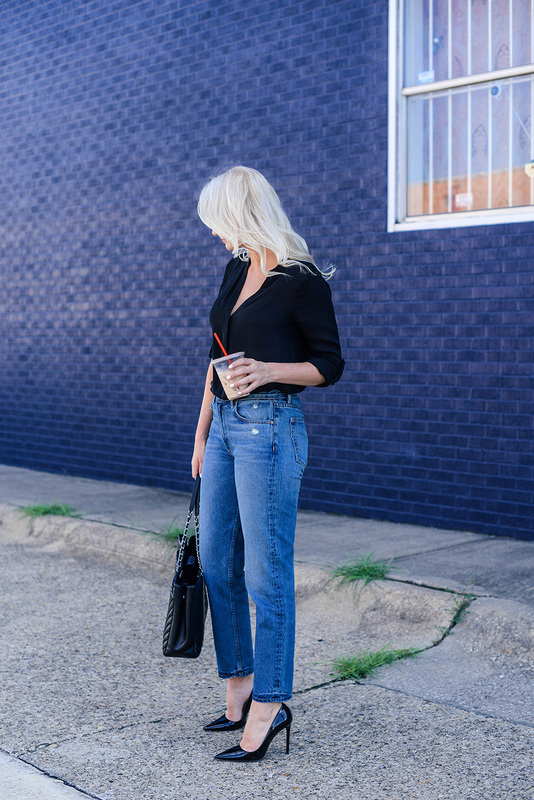 The straight leg style is one of 2017’s biggest denim trends, and it’s one of my favorites. I already have these Levi’s and have worn them a bunch this summer, so when I saw this clean and simple pair by GRLFRND on sale a couple months ago I didn’t hesitate. They’ve got that perfect 90’s look to them in an effortless vintage wash, and because they don’t have holes like my other pair they are easier to dress up. 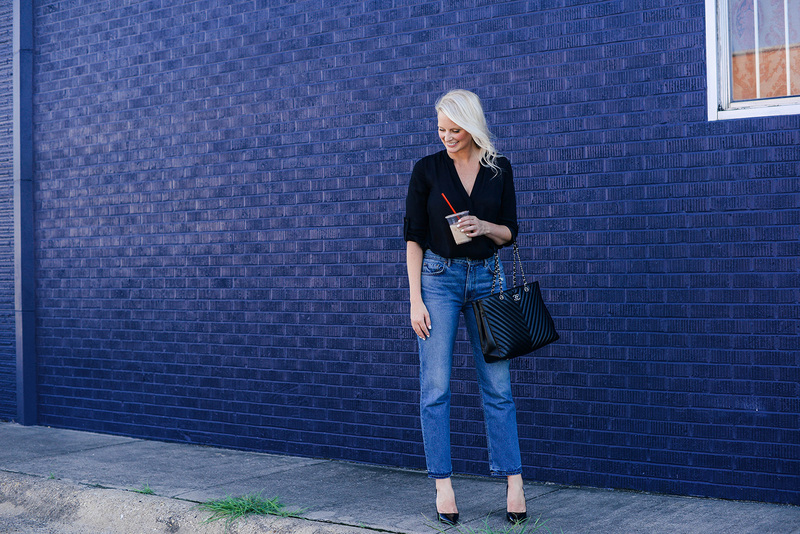 The key to wearing straight or wide leg jeans is to tuck in your shirt or opt for a fitted top – gotta show your shape somehow, since the jeans aren’t doing it for you. This pair is actually on sale right now! Definitely give ’em a try if you are in the market for a new pair. Hope you guys have an amazing weekend! My mom is coming in town early next week for a few days, so I’m gonna be busy getting the new house ready for its first guest! So much has happened and arrived since she was last here, so I’m very excited for her to see it. Those jeans look incredible! I definitely want to get a pair! You can most definitely pull off the jeans, Merritt! You look great against that blue wall. TOtally totally love these on you! I totally want to try a pair but feel like I never look as put together as I want.